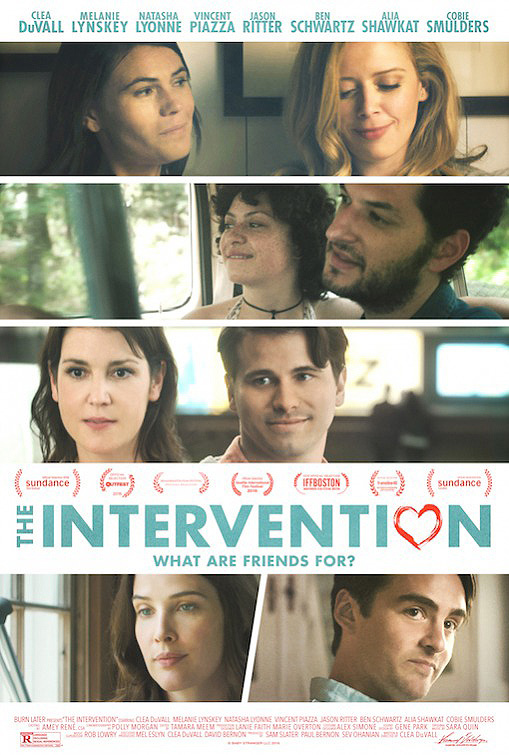 With “The Intervention,” Clea DuVall leaves a striking impression with her feature-length directorial debut. The actress, who starred in the far too short-lived HBO series “Carnivale,” has written and directed an observant, funny and sometimes moving relationship film. Its similarities to famous old-friends-getting-together-for-the-weekend movies are apparent, but since DuVall’s story is driven more by honesty than conventions, its familiar qualities are not a problem. Putting together an intervention often comes from the right place. And as misguided as Annie’s (Melanie Lynskey) idea of a marriage intervention may be, her heart is in the right place. Annie and some other longtime pals are tired of seeing two of their closest friends, Ruby (Cobie Smulders) and Peter (Vincent Piazza), remain stuck in a seemingly loveless marriage. They’re not the only couple on this getaway having problems, though. In an effort to try to resolve Ruby and Pete’s issues, Sarah (Natasha Lyonne) and Jessi (Clea DuVall), Jack (Ben Schwartz) and Lola (Alia Shawkat), and Annie and Matt (Jason Ritter) end up confronting their own relationship problems. All of these conflicts unfold naturally, and that naturalism is inherent in DuVall’s thoughtful script. As the story progresses, the characters slowly reveal themselves to be more than what they initially appeared to be. Every single one of them, including a character that easily could’ve been reduced to a one-note caricature (Lola), is so well-drawn in DuVall’s script – each with their own problems, fears and motivations. These are fully-realized characters, and rarely does a simple conversation or confrontation ring false in “The Intervention,” except for maybe one of its broader scenes.